This card originally came out of a GAI 7 holder and was submitted to PSA raw. 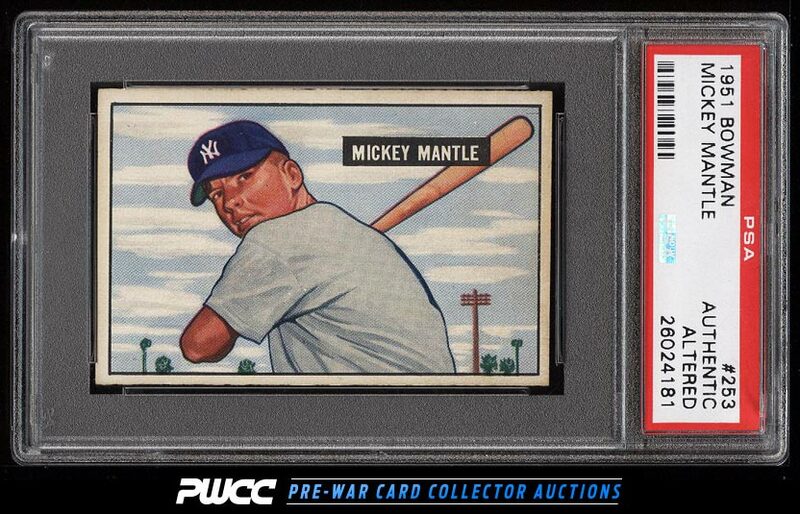 The card does not appear trimmed and PSA stated they felt the card stock had been altered; we can only assume lightly altered as the overall eye appeal is very nice for the issue. Well centered with four mostly sharp corners and good print for the issue. Light corner wear and a bit more toning to the right edge are all that affect the eye appeal. Shows much like an EXMT/NRMT card in terms of eye appeal. One of nearly 20,000 cards, lots, and sets up for bid in our 7th Auction of 2016. Click on the link above to view the other PWCC auction lots.